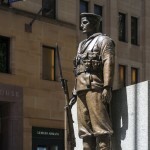 The Cenotaph in Martin Place was commissioned to commemorate the Australian soldiers and sailors who died in service during World War I. 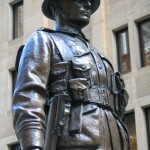 It was sculpted by Sir Edgar Bertram Mackennal and unveiled on 21 February 1929. 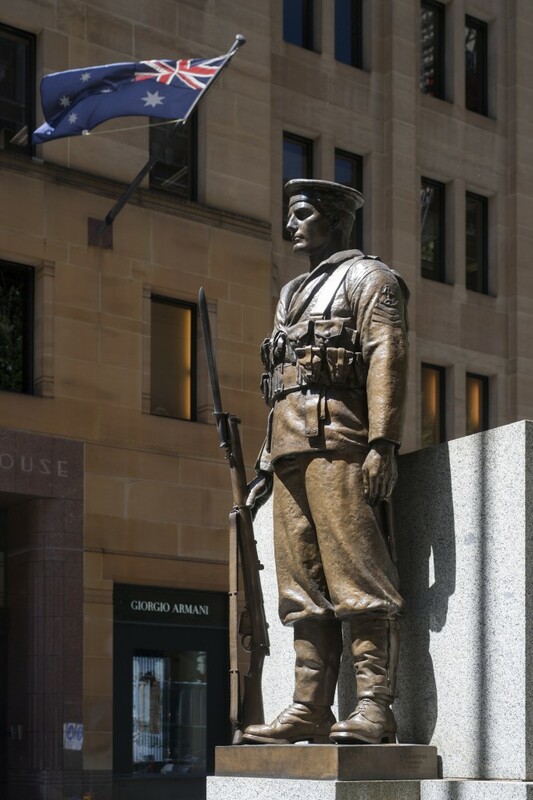 The Cenotaph consists of two bronze figures, one a soldier, the other a sailor, standing guard at each end of a large granite tomb that represents the Cenotaph. A cenotaph is defined as an empty tomb, a sepulchral monument erected in honour of those drowned at sea, killed in battle and otherwise lost. 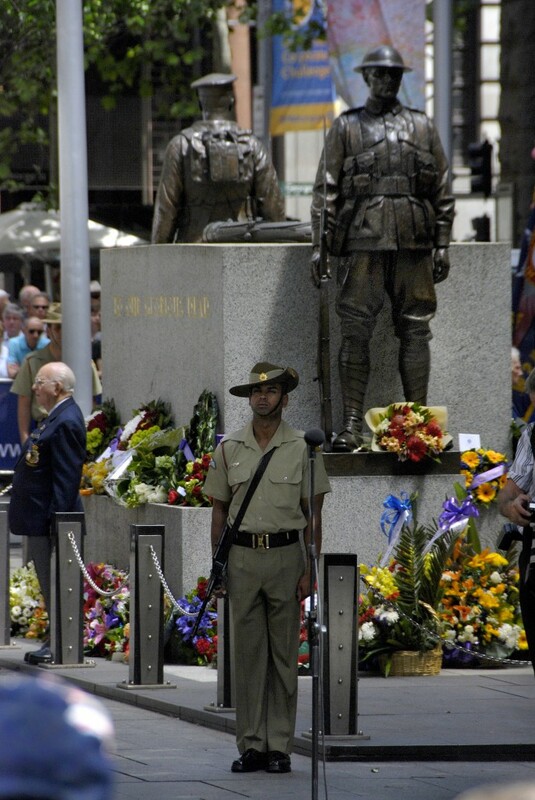 The Cenotaph has represented a focal point for diverse groups since its erection and has had a central role in the expression of varied interpretations of war. 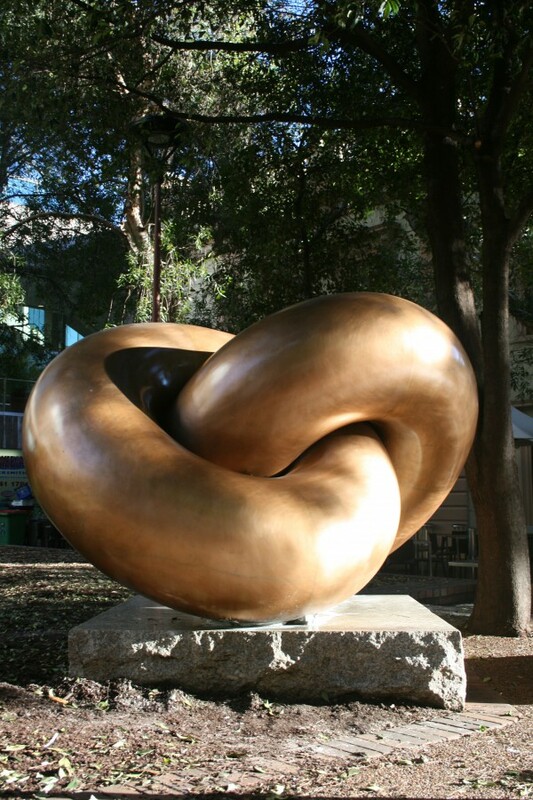 Sculptor Sir Edgar Bertram Mackennal (1863-1931) was the most successful Australian artist of his time, and is still arguably the best known of Australia’s sculptors. Born in Melbourne, he studied at the National Gallery School and Victorian Academy, and in 1883 at the Royal Academy and British Museum in London. Working mostly in Europe from 1882 Mackennal executed many private works and public monuments, and with the patronage of King George V became a leading civic sculptor in Britain. 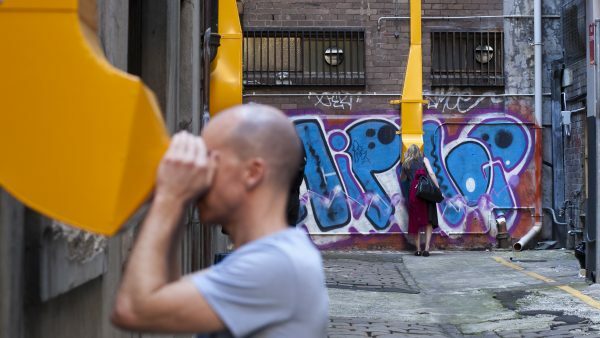 He was the first Australian to be elected an associate of the British Royal Academy, the only Australian to be elected to full Royal Academy membership, and the first to be knighted. 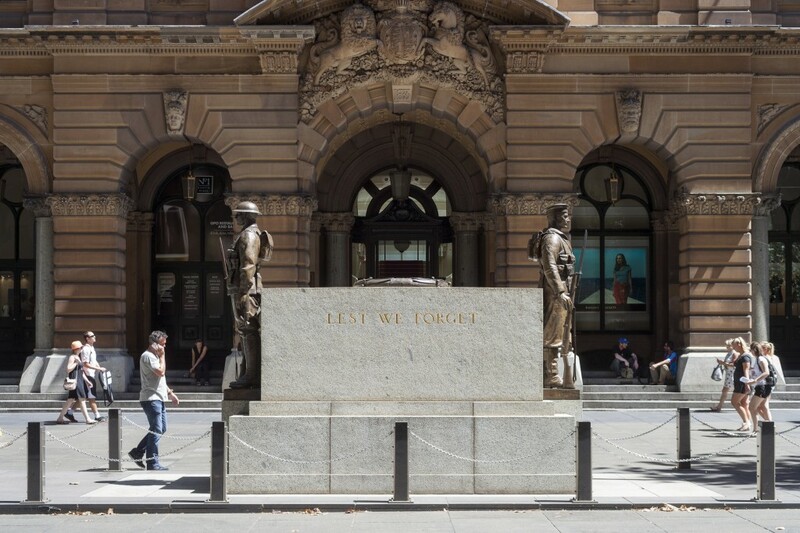 The idea to erect a memorial in Martin Place to those who had served during the War was first mooted in the RSL records in 1924. A committee was formed by invitation and chaired by Justice Ferguson of the Supreme Court. 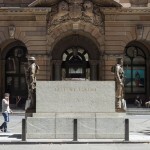 At the first meeting on 24 February 1925, it was resolved ‘that steps be taken for the erection of a Memorial Shaft in Martin Place in memory of NSW Fallen Soldiers’. The Planning Committee was responsible for commissioning Sir Bertram Mackennal to design the Cenotaph in 1927. 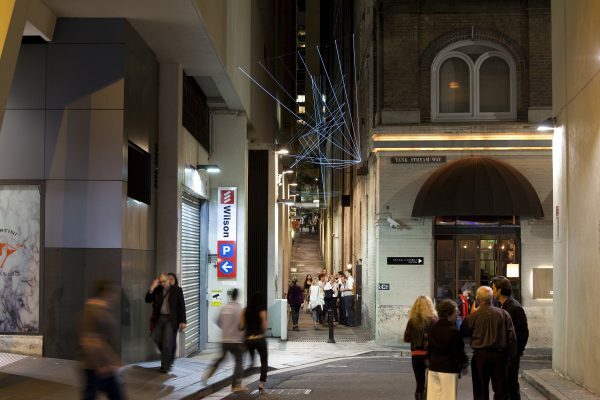 The Premier J. T Lang approved this choice and promised that the Government would provide £10,000 for the project. 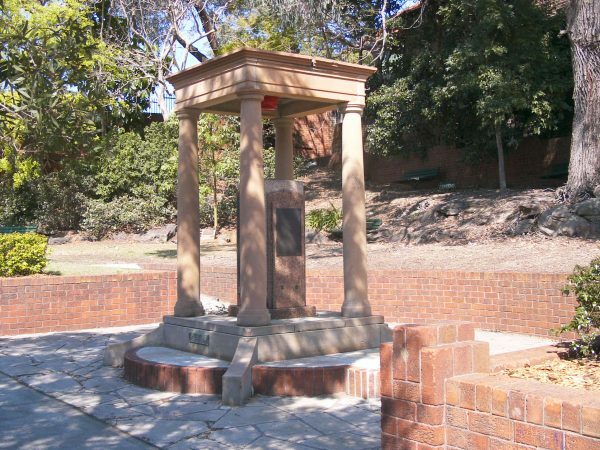 The large block of granite, which stretches between the bronze figures, was cut, hewn and dressed at the Moruya quarry of Dorman Long & Co. A dedication ceremony of the granite base took place on 8 August 1927. 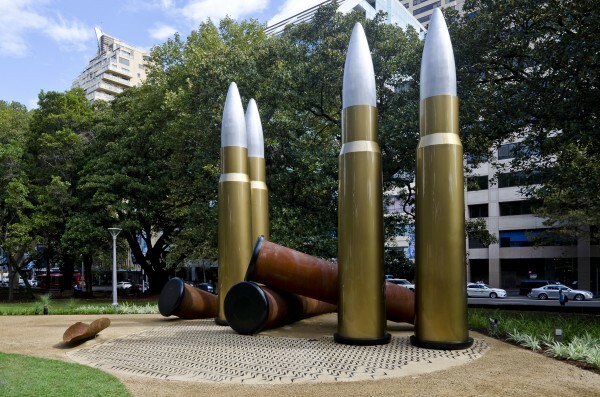 The costs associated with the construction and erection of the memorial were paid for by the State Government and on the date of the dedication of the base Alderman J.H. 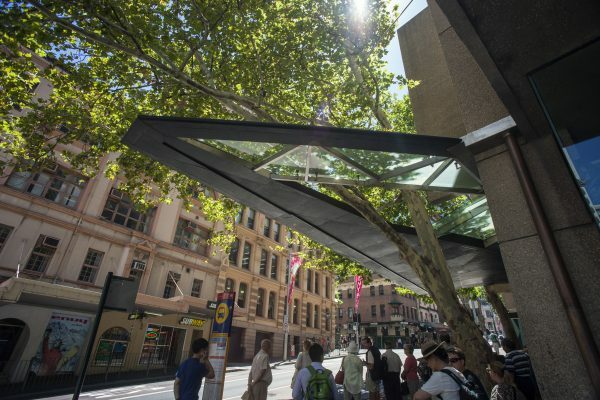 Mostyn accepted the monument on behalf of the Council and Citizens of the City of Sydney. 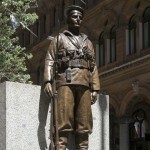 The bronze statues of the sailor and the soldier were cast in Milan and despatched from England on 13 December 1928 by Mackennel. 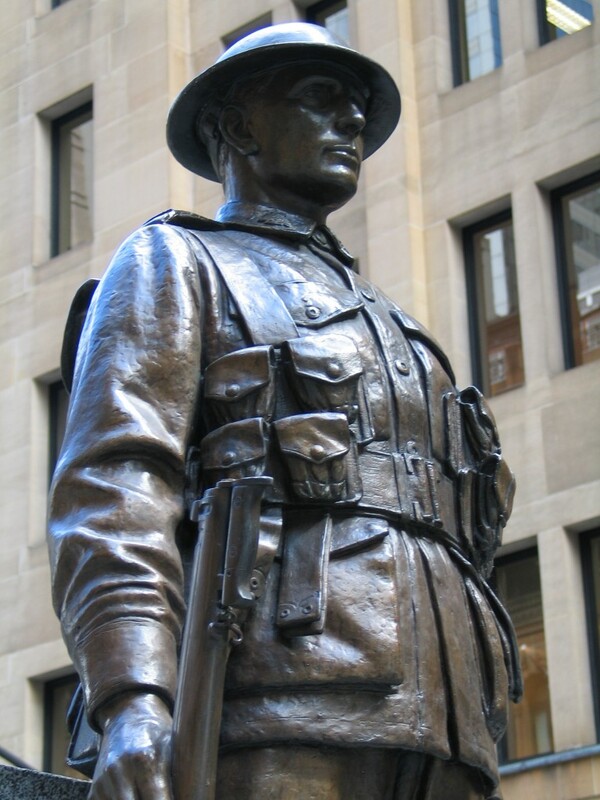 Private William P. Derby (1870-1936) of the 15th Infantry Battalion and the 4th Field Ambulance Australian Imperial Force was the model for Mackennel’s figures of the soldier. 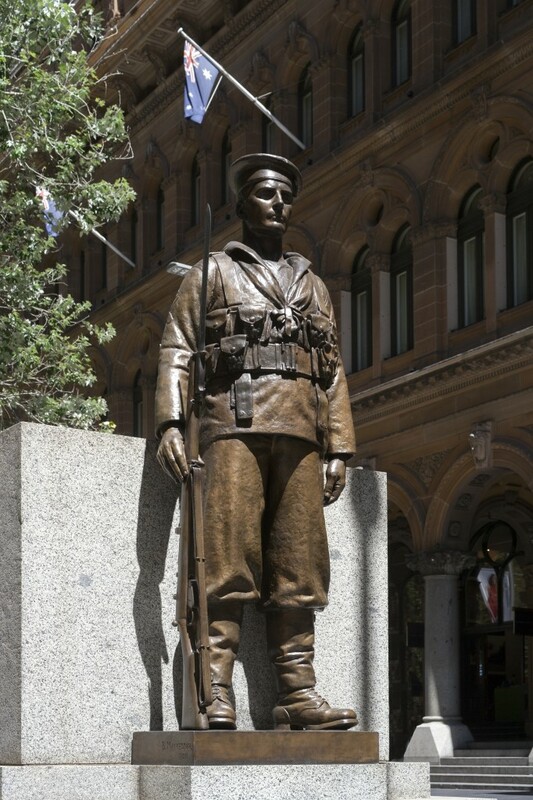 For the sailor, Mackennel used Leading Signalman John William Varcoe (1897-1948) of the Royal Australian Navy. The unveiling ceremony of the statuary took place on 21 February 1929. Representing, as it did, the pain of the recent war, the Cenotaph engendered much debate amongst ex-servicemen and the civilian population. The only criticism that affected the final form was the observation that while the sailor looked inland, the soldier faced the sea. Their positions were switched. 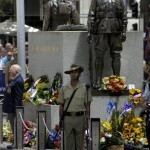 The City of Sydney has had an ongoing involvement with the administration, care and maintenance of the Cenotaph. 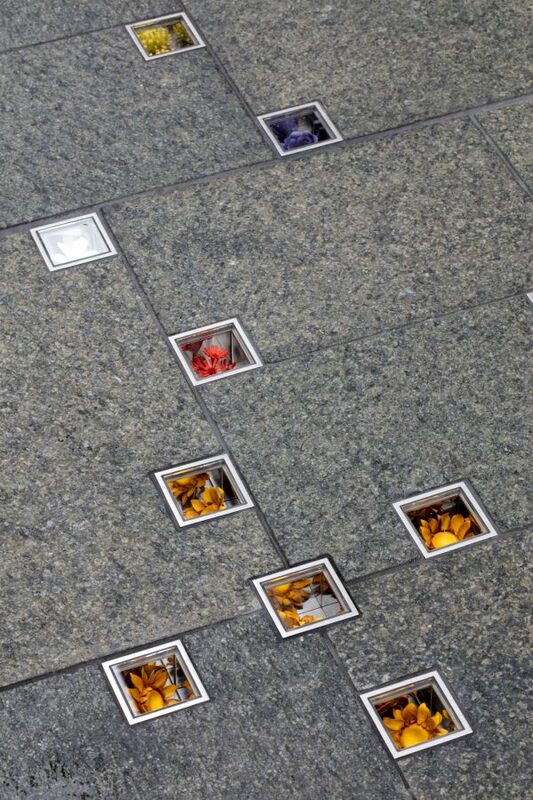 Detailed investigations were undertaken in 2012 and the Cenotaph undergoes ongoing routine preservation works.